The emergence of Bitcoin in 2009 introduced the world to the blockchain concept and its ability to revolutionize the payment system. Over time, many have realized that the blockchain can be applied to many different industries, including the energy sector. This is the first in a series of articles that will examine how blockchain technology can disrupt major industries around the world, beginning with the energy sector. If there is one word that shares almost the same level of ubiquity with blockchain technology within the concept of the emerging digital age, it is “disruption.” Whenever and wherever blockchain technology is mentioned, the word “disruption” is never far away and for good reason. The fundamental basis of blockchain technology is to disrupt the traditional business process by providing a viable decentralized alternative to the mainstream centralized system. A blockchain is a decentralized, distributed network architecture in which a public ledger of all transactions within the network is shared among all the participating nodes of the network. The result is the elimination of a central server with the authorization and authentication of transactions being carried out by the entire network. This gives rise to faster transactions at greatly reduced costs since there are no fees to be paid to third-party intermediaries. The blockchain is the first successful implementation of the Distributed Ledger Technology (DLT) framework. Blockchains have already found great application use-cases in banking, payment processing, music licensing, and online gaming just to mention a few. In recent times, there has been a lot of interest in applying blockchain technology to the energy sector. It is almost inconceivable to imagine the modern world without the availability of energy resources to power the countless processes that run almost nonstop in the 21st-century world. Be it fossil, hydro, nuclear or renewable energy sources like solar and wind, the world is in constant need of energy to sustain comfortable living and industrial processes. The global electricity market is estimated to be worth about $2 trillion dollars and is largely monopolized by a few corporations. These major players in the sector control the dynamics of the market with an emphasis on higher energy production levels in order to ensure maximum profits. As a result, the contribution of consumers and end-users in this model is restricted to subscription for energy services. 1. People are becoming more conscious of the environment especially with regard to global warming. 2. There is an observable decrease in the trust placed in large corporations by a significant portion of many societies around the world. The emergence of blockchain and the relative level of success enjoyed by a number of blockchain-based enterprises in such a short amount of time has created a paradigm shift in the consciousness of some people. By applying blockchain technology to the energy market, the industry can move from its present centralized architecture to a more decentralized peer-to-peer energy trading market. If there is one thing that the blockchain has revealed, it is that just about anything can become a tradable asset once it is put on a blockchain. Presently, electricity rates are stipulated by centralized authorities. Blockchain technology has the potential to decentralize the market such that rates will no longer be fixed by these centralized bodies, but by the market itself. Electricity tariffs will begin to behave like tradable commodities that respond to demand and supply signals in a fully functioning distributed electricity market. With this sort of model, consumers will be presented with an array of choices when it comes to selecting electricity service providers. Consumers will be able to scan through blockchain listings to find the best deals for themselves. Cryptocurrencies are the native currencies of the blockchain environment. By incorporating blockchains into the energy ecosystem, cryptocurrencies can be used to make energy payments. By “tokenizing” the grid, cryptocurrencies can then be used to facilitate different types of energy market transactions. There are quite a number of sub-applications to this model. One is the tokenization of electricity by energy producers. WePower, a European-based blockchain enterprise that focuses on green energy trading is one of the companies that is pursuing this model. Energy producers will be able to sell electricity in the form of tokenized cryptocurrencies which can be bought and traded like other cryptocurrencies. With the electricity market decentralized and electrical energy becoming an asset on a blockchain, consumers can begin to trade electricity within a peer-to-peer market. This has the potential to introduce a greater economic potential for both energy companies and consumers as far the energy market is concerned. 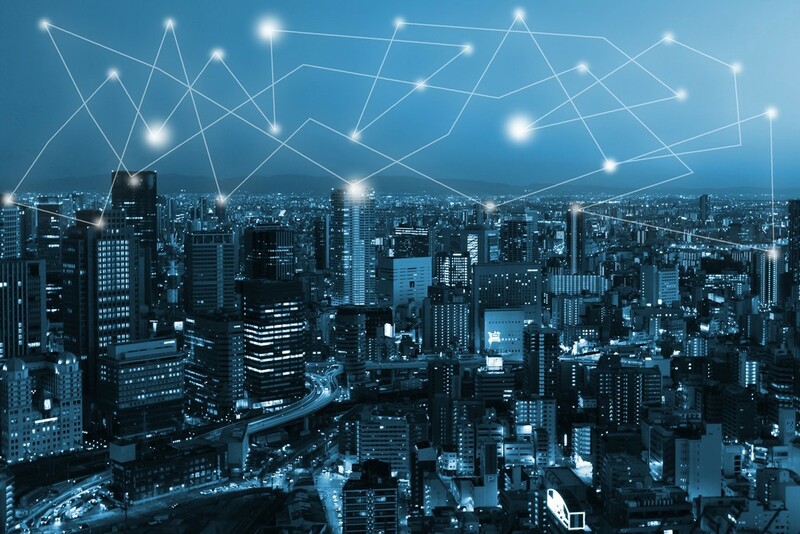 By making electricity a tradable asset on a blockchain, consumers can benefit from the many advantages of the blockchain commerce such as low transaction costs and network transparency among others. There are a number of blockchain-based enterprises that are already working on solutions tailored to the peer-to-peer electricity trading market. Electron, which is a UK startup and Power Ledger an Australian blockchain-based energy company are some of the firms that are working to implement the peer-to-peer energy trading market. Microgrids are popping all over in places like New York, Sidney, Perth as well as communities in Germany and South Africa. These microgrids allow trading in electricity within a specified area. One of the main advantages of microgrids is that it can be used as an emergency backup in situations when there are issues with the main grid. Natural disasters like floods, earthquakes, and hurricanes can cause service disruptions by affecting centralized grid infrastructure. In such an event, microgrids can sustain the community until the main grid is back online. There are literally hundreds of use-cases of blockchain technology in the energy market. While there are lots of potential benefits in tokenizing the energy market, there is still a lot to be done before any successful large-scale implementation of a blockchain energy ecosystem can be achieved. Issues such as scalability of a large blockchain network have to be addressed first before blockchains can be applied successfully to the energy market. The sings and prospects of blockchains disrupting the energy sector do look encouraging. Interesting, right? Learn more about Capdax, involve yourself in our community and keep the conversation going! Marketing Specialist at Capdax: A seasoned online global marketing professional, Rayed brings a wealth of experience to the marketing initiatives for Capdax.